A FAMOUS ‘play with tunes’ about the legendary music hall star Sir Harry Lauder by Helensburgh actor and comedian Jimmy Logan was revived for two nights at Glasgow’s Theatre Royal in December 2017. Jimmy, who died in the Golden Jubilee National Hospital at Clydebank on April 13 2001 from cancer, would have been delighted, because Lauder was one of his two great heroes. “I was brought up to believe that if I could look like Jack Buchanan and sing like Harry Lauder, I might make a name for myself,” he once said. Jimmy, who was the first honorary president of Helensburgh Heritage Trust when it was set up in 1996, met both Sir Harry and burgh-born entertainer and film and theatre star Jack Buchanan during his lifetime. The revival of his very popular and affectionate Lauder tribute musical enabled popular Scottish tenor and BBC broadcaster Jamie MacDougall to fulfil a lifetime ambition by playing the part. The Scottish Opera production contained classic songs such as ‘I Love a Lassie’ and ‘Roamin in the Gloamin’, and stories of Sir Harry’s rags-to-riches life. It was a moving insight into the private self behind the hilarious public persona. The musical director was burgh man Derek Clark, Scottish Opera’s head of music, who lives in East King Street and is musical director at Helensburgh Parish Church. The lighting was by another burgh man, David Cunningham, who lives in West Princes Street. The Theatre Royal, which last week celebrated its 150th anniversary, was where in 1905 Lauder — while in the leading role in the Howard & Wyndham pantomime ‘Aladdin’ — wrote the world-famous ‘I Love a Lassie’. In a letter to the Glasgow Herald published in March 1 2000, Jimmy Logan — then living at Springvale, 73 East Princes Street — told of his respect for Sir Harry. What follows is an edited version of the letter . . .
“Harry Lauder was born in 1870 into poverty, and without the aid of television or films he in his day became the highest paid music-hall artist in the world and wrote a golden page in the history of the Scottish theatre. He broke box-office records in every English-speaking country in the world. Despite his being dead for 50 years his songs are still popular and when I sing them today the audience all join in. Why? Are they all fools who love trash, or are they people who love the simple melodies and the words have meaning? I would point out that in 1914-18, as in 1939-45, it was not uncommon to write songs that helped the people to have the will to resist a great German evil, such as ‘Keep the Home Fires Burning’ written by Ivor Novello or ’Pack up your Troubles’. In 1940 ‘Keep Right on to the End of the Road’’ was one of the favourites of Winston Churchill, who said Lauder’s songs inspired him and asked him to be on the platform when Churchill received the Freedom of the City of Edinburgh which honoured Sir Harry in 1927 with the same Freedom. When Sir Harry Lauder died in 1950 Winston Churchill sent a wreath to ‘’The Scottish Minstrel’’ and the minister at the church in Hamilton told me that it was the only funeral they had to issue tickets for because so many wanted to be there. That day the streets of Hamilton were lined with those Scots who just wanted to say goodbye. Harry Lauder did entertain the King and royal family in 1909 when the music-hall was not considered respectable, but Lauder and his family’s reputation were acceptable to them. The suggestion that Harry Lauder’s royal performances such as the first Royal Command Performance in 1912 led to his knighthood is mistaken. After the death in action of his only son, Captain John Lauder of the Argyll and Sutherland Highlanders, in 1916, Lauder became part of the fabric of the nation. 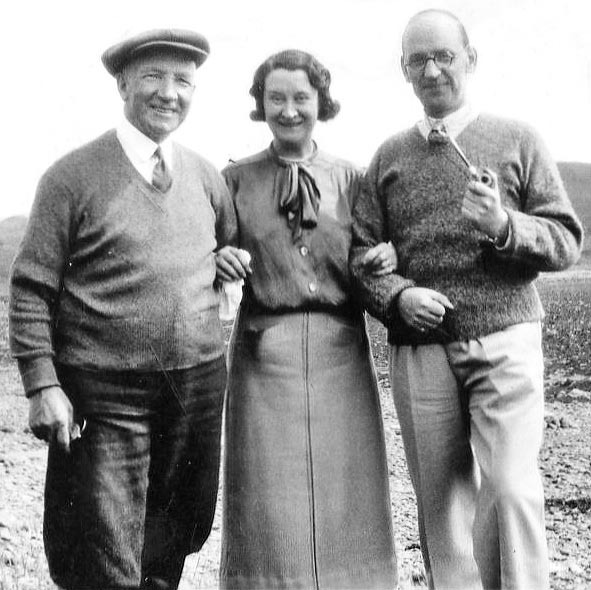 Lauder started The Harry Lauder Fund and by his efforts raised just over £1m by 1919, and that is the reason why he was honoured. 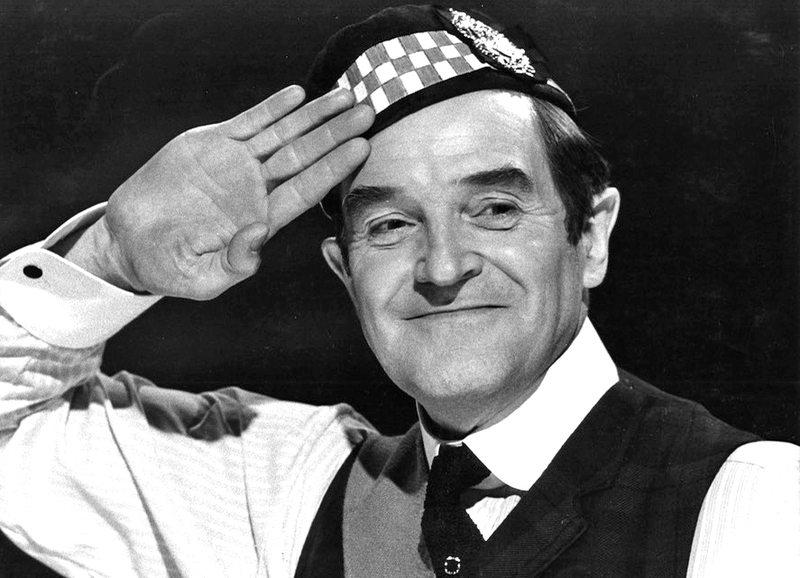 We as Scots should be proud that a Scot was the first member of the music-hall to be knighted. Lauder had ambition to make his mark in the music-hall and London was his aim. If Lauder was accepted in London he had a chance of better things and that is what happened. After his success there he was invited to return to the Theatre Royal in Glasgow and star in the pantomime where he first sang ‘I Love a Lassie’ at £200 a week. Lauder lived at Laudervale in Dunoon but bought an estate for his son at Glenbranter in Argyll. Lady Lauder is buried there with her brother and his wife but not her son John, who is buried with his comrades in France. Last week I visited the grave of Lady Lauder and left flowers. In his day Lauder knew he had to be remembered and, as I wrote, “people never remember your generosity but they never forget your meanness’’. Harry Lauder was determined to be remembered. My musical about his life had a Royal Charity opening at the Lyceum Theatre in Edinburgh presented by Sir Cameron Mackintosh and Logan Theatres, and I took it to South Africa, Australia, and New Zealand. Later it was presented as part of the Edinburgh International Festival and at the Pitlochry Festival Theatre. I find it interesting that the only people who try to rubbish Lauder are Scots, while the rest of the world think that he was one of Scotland’s finest ambassadors,” Jimmy's letter ended. After his third marriage came to an end Jimmy Logan moved to Springvale in 1990, having previously lived in part of an East Clyde Street seafront mansion, and this meant disposing of his wonderful collection of Harry Lauder memorabilia, including his piano. This loss was a gain for the University of Glasgow and the people of Scotland as these items now form part of the Logan Theatre Collection in the University Library, thanks to the MacFarlane Trust. Jimmy was a tireless charity worker for the Showbiz Benevolent Fund and president of both the Scottish Music Hall Society and the Sir Harry Lauder Appreciation Society. His work was recognised when he was invested with an OBE at Buckingham Palace in 1996 in the company of his fourth wife Angela. There is one other Helensburgh connection in this tale — a great friend of Sir Harry was stage star Jean Clyde from Helensburgh. Top photo by courtesy of sirharrylauder.com.